What would Valentine’s Day be without beautiful colored lips? Well, maybe it would still be an overrated holiday – but probably less beautiful. 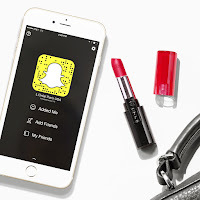 To ensure Snapchat users to send the most beautiful kisses to their beloved ones, L’Oréal created a sponsored lense to promote its Infallible lipsticks. L’Oréal’s animated lens applies a bright lipstick to users’ videos, flipping through a handful of colors. The lens overlays a graphic of eyeliner on snaps, too. 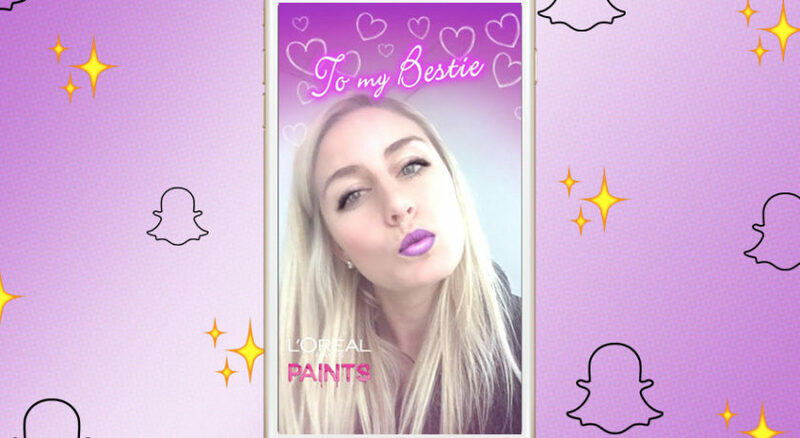 Digital innovations such as augmented-reality technology to animate photos and videos have revolutionized the possibilities of beauty advertising. Yet only few brands step into this new territory. L’Oréal on the contrary has already launched its third campaign using a sponsored lens and we are curiously waiting for their next creative idea.